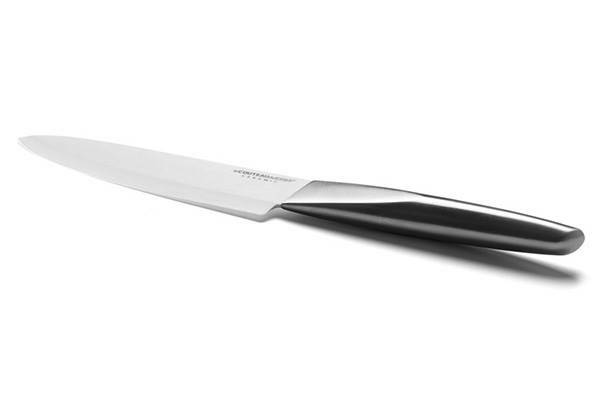 This 15cm chef knife is ideal to accomplish all the tasks in your kitchen. 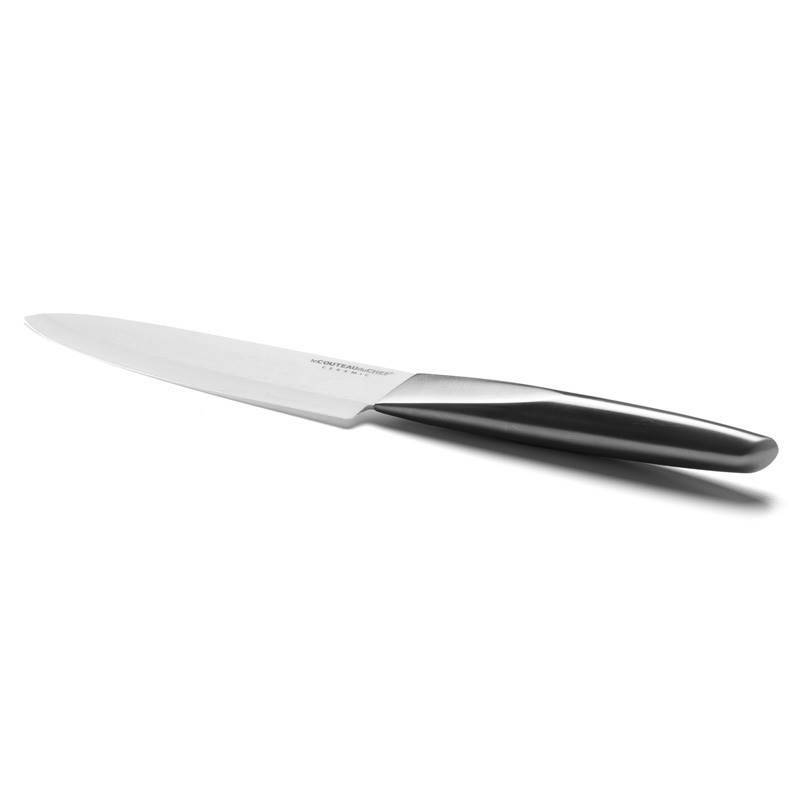 Versatile it can cut various foods such as meat, fish, vegetables, and fruit… In white ceramic, the blade of the Transition chef knife is manufactured in zirconium oxide, a very resistant material famous for its abrasive quality. The ceramic also offers a breathtaking cutting easiness thanks to its exceptional hardness. The 15cm white ceramic blade of this kitchen knife is extended by a stainless steel handle which confers a resolutely modern design. 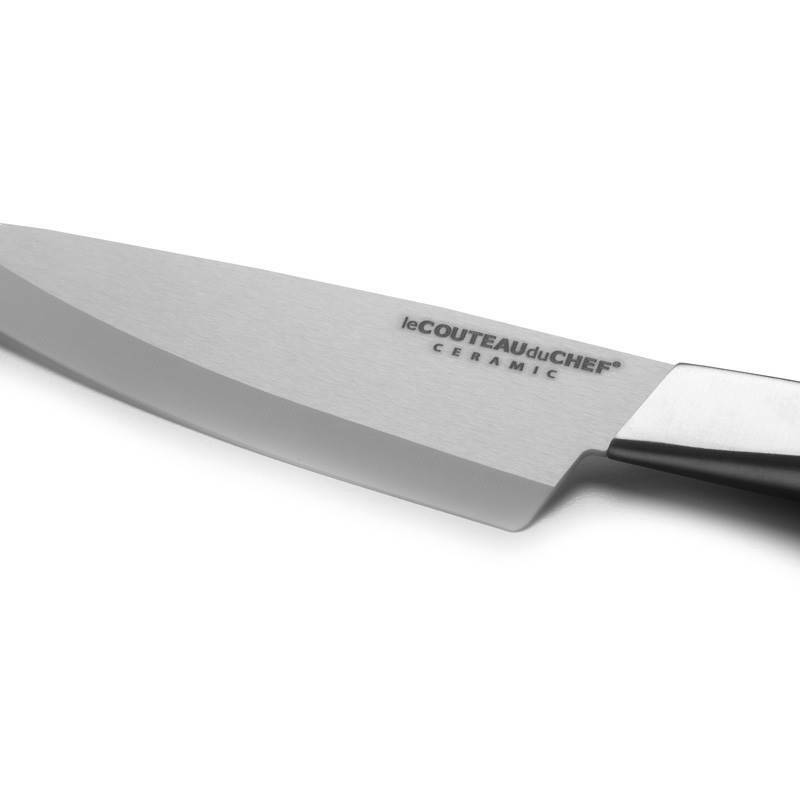 This chef knife will perfectly match any different utensil style. 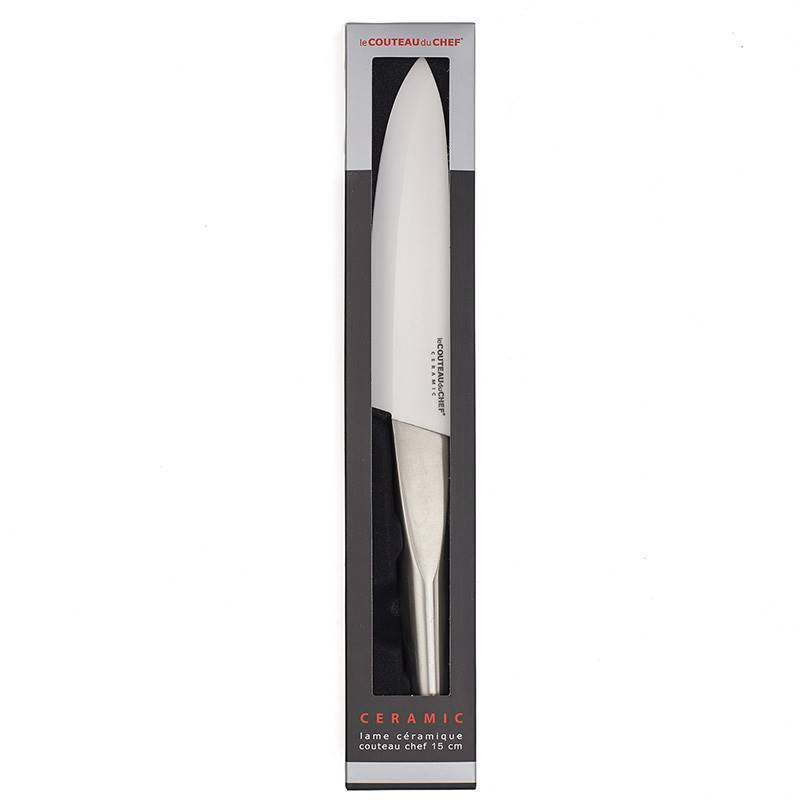 This ceramic knife whose look is dynamic and slender, also offers an ergonomics that facilitates the grip and makes the use easy.